Packages with native modules depend on the node-gyp toolkit for compiling the sources. Of course the toolkit by itself doesn't include all the required dependencies for compilation; there's a list of prerequisites to make it work on each of the supported platforms. In spite of that I still found it a bit challenging to make it work in Windows; in particular when I wasn't dealing with a freshly installed machine and there were different development tools already installed. Installing Python is the easy part of the job. 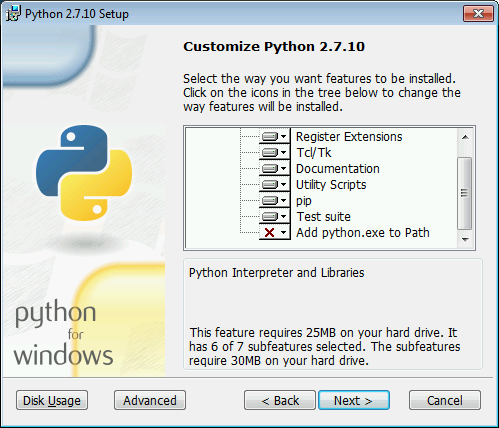 Just make sure you're installing version 2.7, and don't forget to select the feature for adding python.exe to path. Alternatively you can create an environment variable named PYTHON and set its value to the full path of python.exe on your computer. If you choose to install Python using Chocolatey, this is going to be taken care of automatically. The troubles start with the C++ compiler tooling. At least for 64-bit Node.js installations (is anybody still using anything else? ), installing Windows SDK 7.1 only turned out to be the simplest approach for clean machines. I opted for the default set of features just to be sure, although probably not everything is really needed. Unless disk space or bandwidth is an issue, I recommend you do the same. After the SDK is installed just run npm from the Windows SDK 7.1 Command Prompt or make sure you run the same SetEnv.cmd from your command prompt before using npm. Unfortunately the SDK installation tends to fail with weird errors, if newer development tools are already installed on the machine - different versions of Visual C++ 2010 components in particular. You'll most likely need to uninstall them all for the setup to succeed. And even after it does - you'll still need to have the right C++ compiler tooling configured in your command prompt. Running Windows SDK 7.1 Command Prompt of course remains an option, but having it configured in your standard command prompt and switching between different compilers quickly becomes an issue. I like this approach a lot, since there's less additional software to install, and less possibilities to break something else in the process of making this work.